U.S. Agricultural Trade Data Update, https://goo.gl/22sMHg. USDA- Economic Research Service (September 5th and 6th). 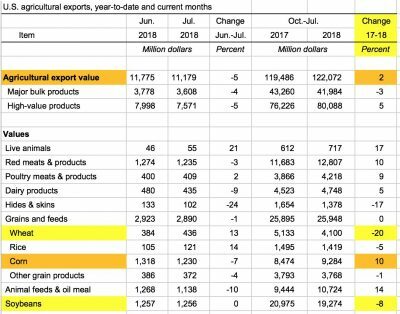 The volume of U.S. soybean exports to China were down over fifty percent this July compared to last year, but exports to the EU, Mexico, Egypt, Taiwan and Vietnam increased (see table below). Cumulative beef exports were higher in volume by 10 percent relative to 2017, and value was 20 percent higher. 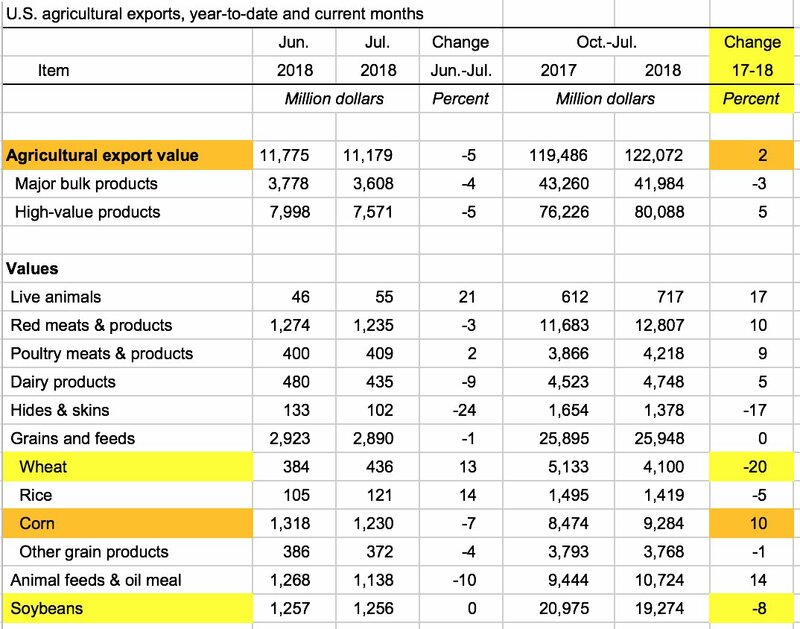 The AMS report added, “Pork export volume was 8 percent below June while the value was down 9 percent. For 2018 so far, pork exports are up from 2017 by 2 percent in volume and 2 percent in value.